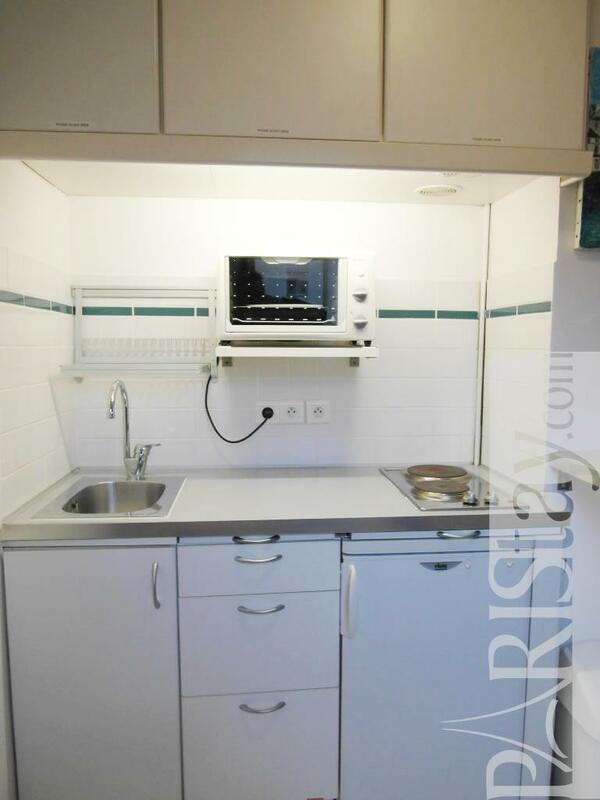 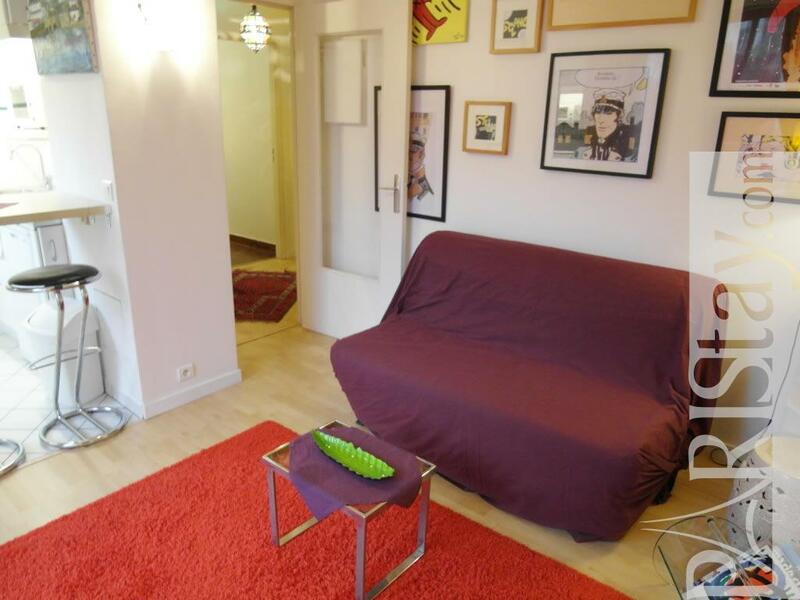 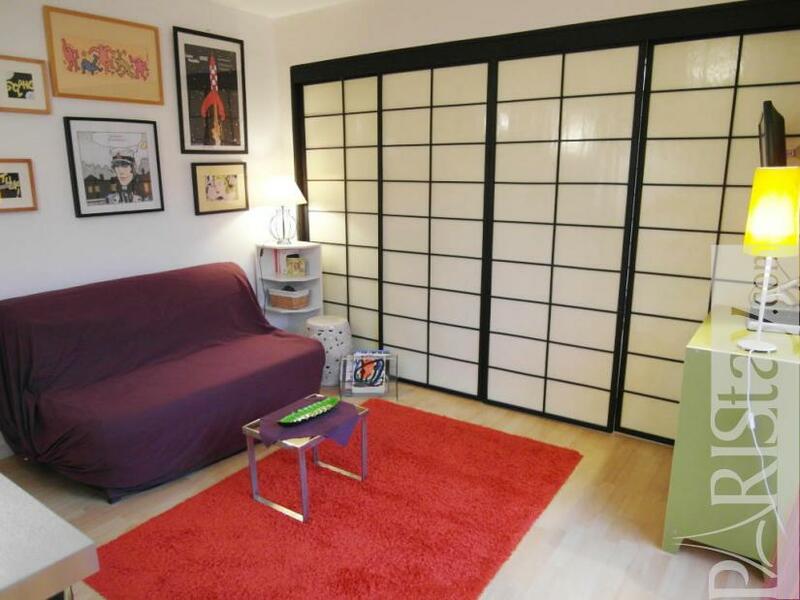 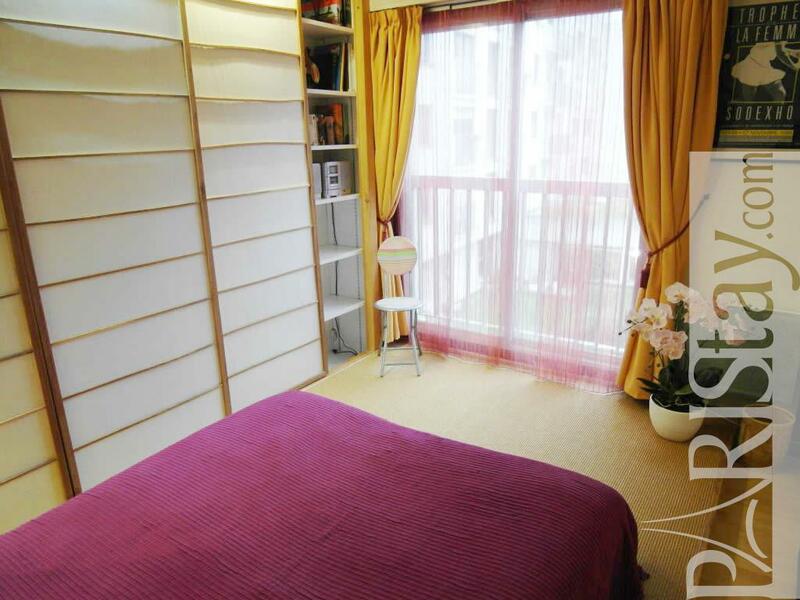 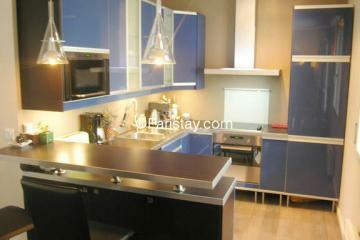 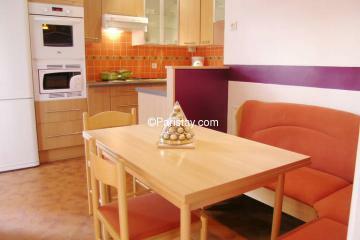 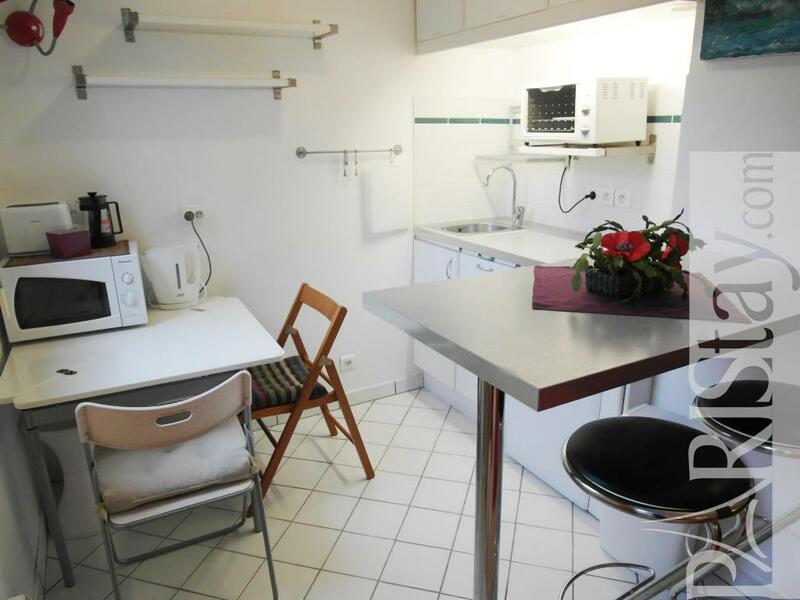 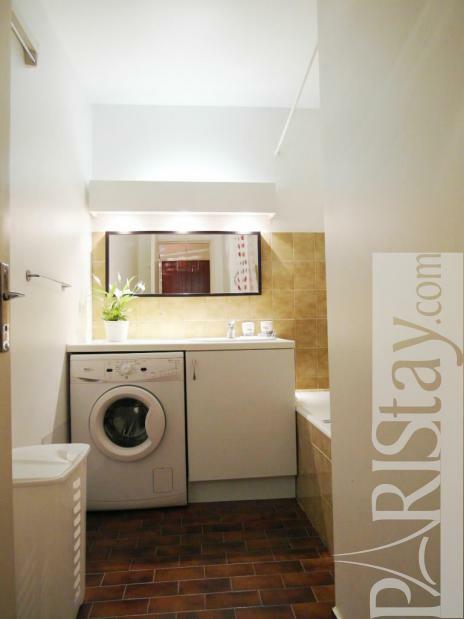 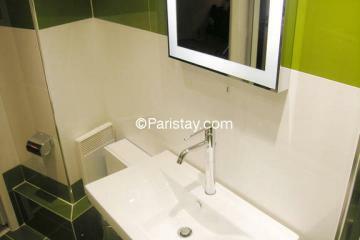 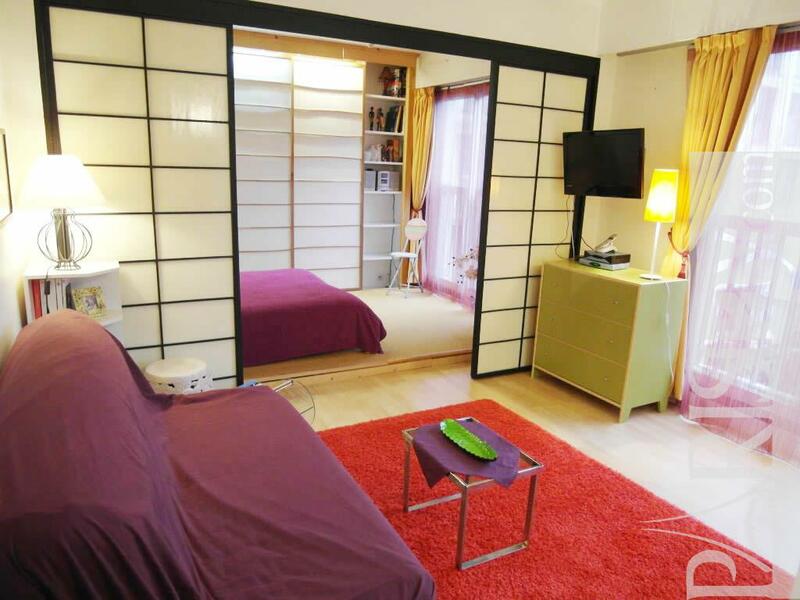 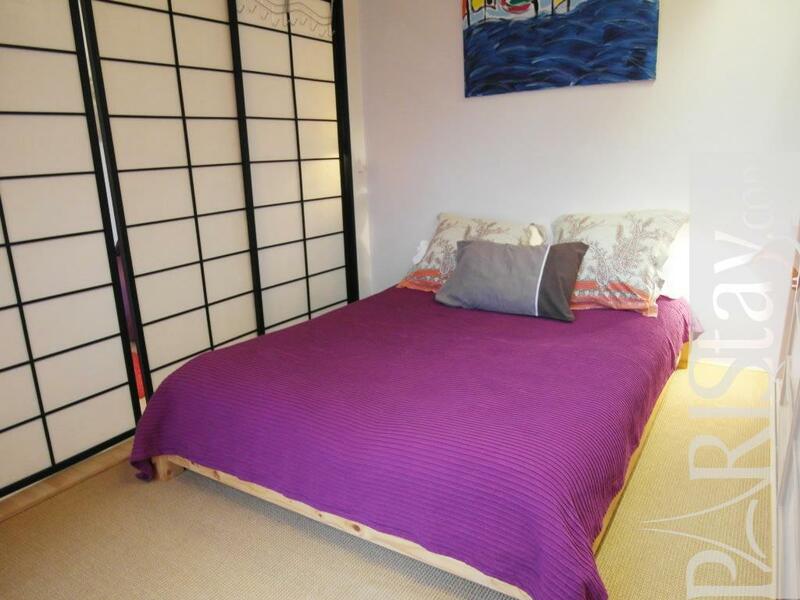 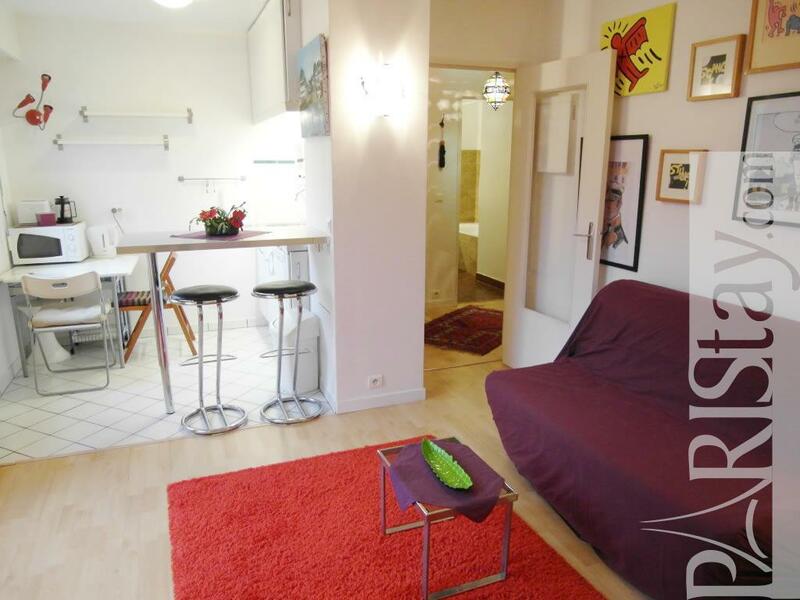 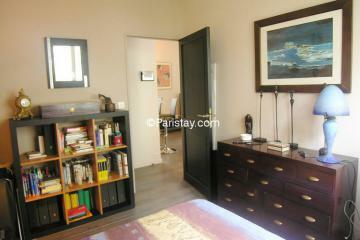 This furnished 1 bedroom apartment is situated between Bastille and Republique. 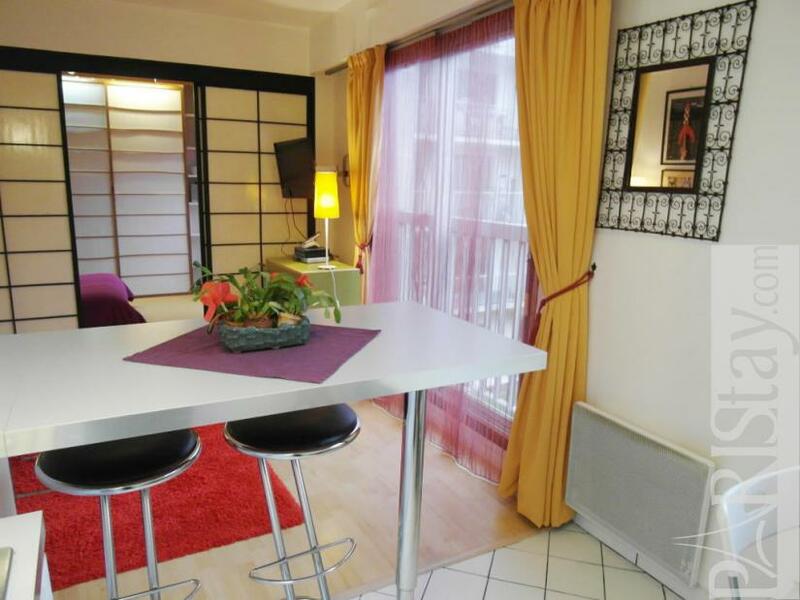 In just 15 minutes walking distance at the Place La Bastille with the famous Opera, considered one of the best Opera house in the world. 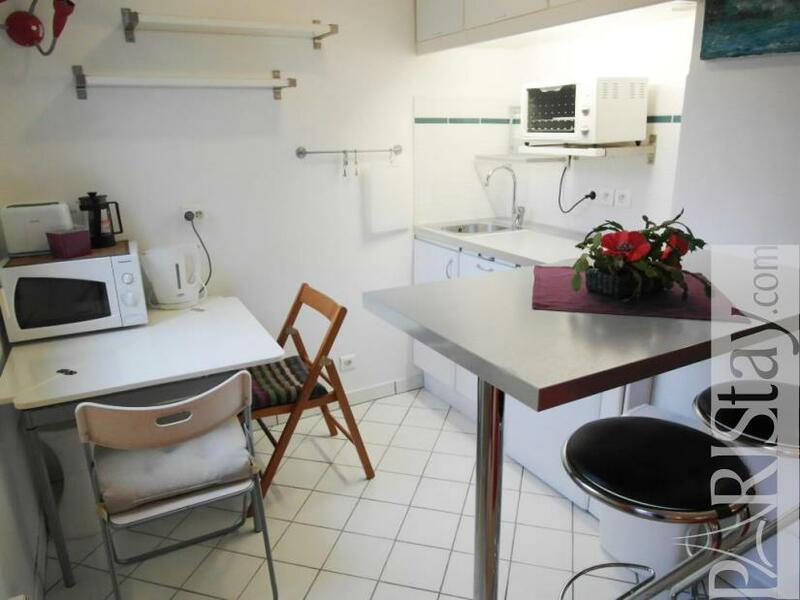 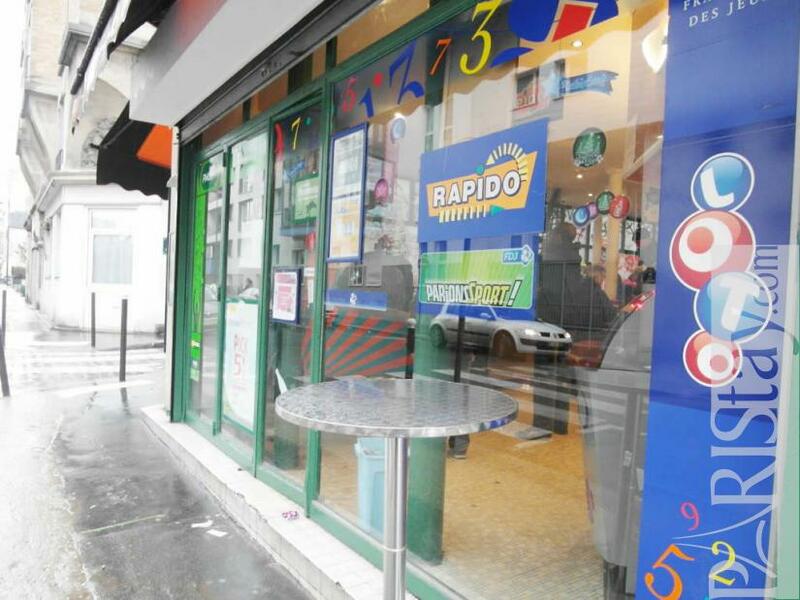 In the immediate vicinity of this accommodation are numerous shops, gorgeous restaurants and cafes, supermarkets, grocery, bakery and markets such as the well-known Parisian market Rue Richard Lenoir (Thursday and Sunday mornings). 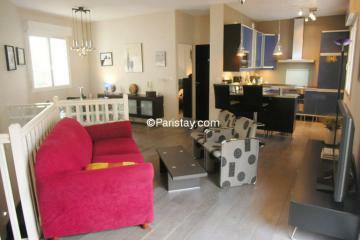 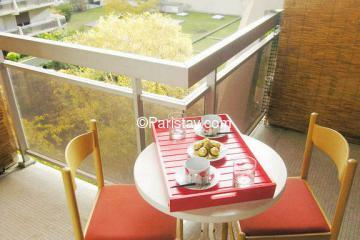 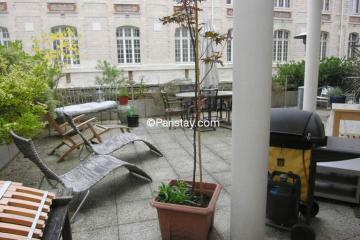 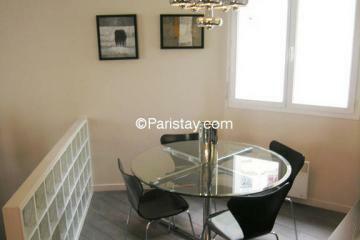 Ideal long stay rental in Paris. 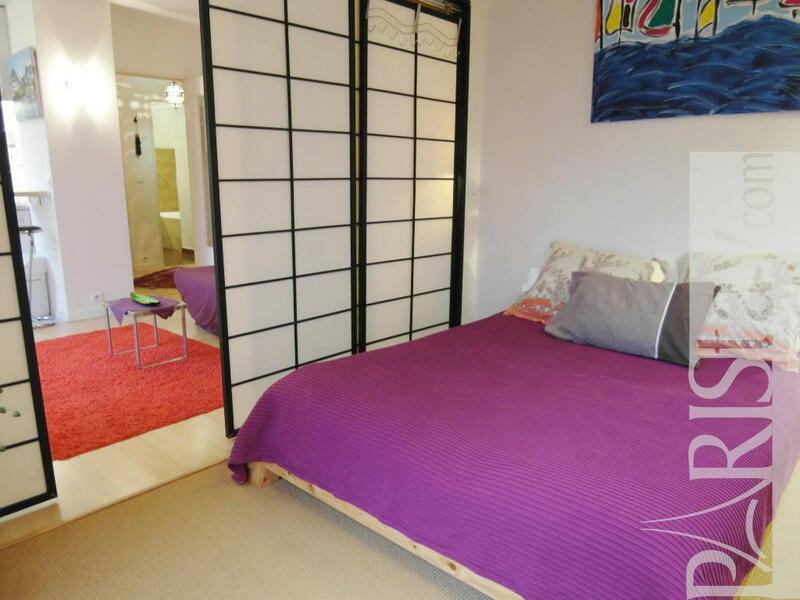 This bright large apartment is located on the second floor (third in the USA) of a 1979 building with an elevator. 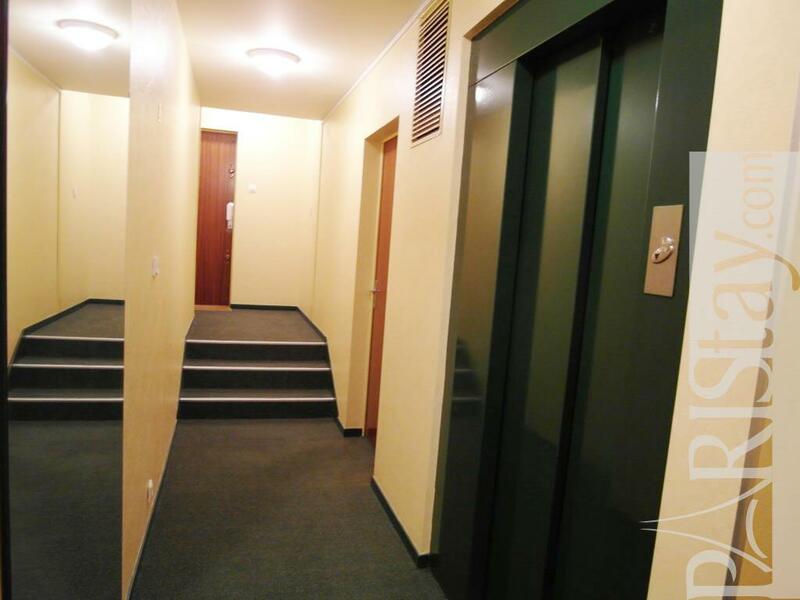 The main entrance gate is protected by a coded security system and it opens into a hall leading to another door with an intercom. The apartment has northern exposure and it overlooks a courtyard. 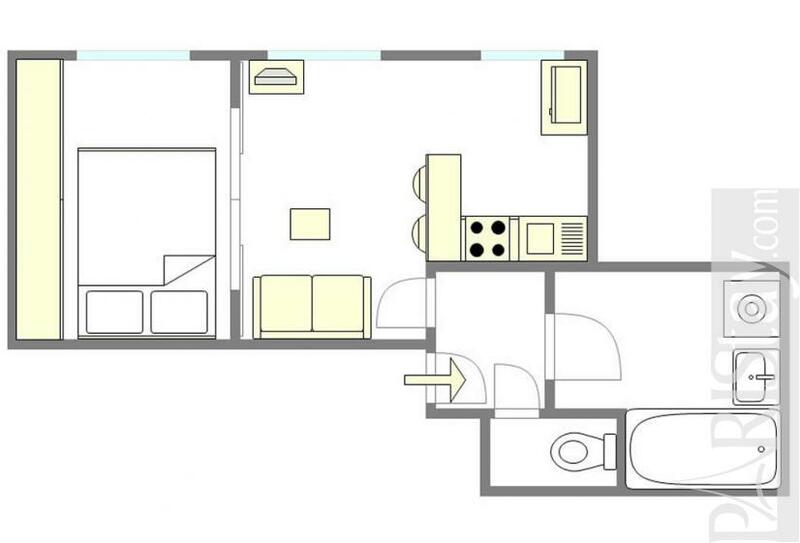 The apartment entrance opens into the bathroom and on the left are the living room, the kitchen and the bedroom. The living room area has a sliding, double-glazed French door with rolling shutters. 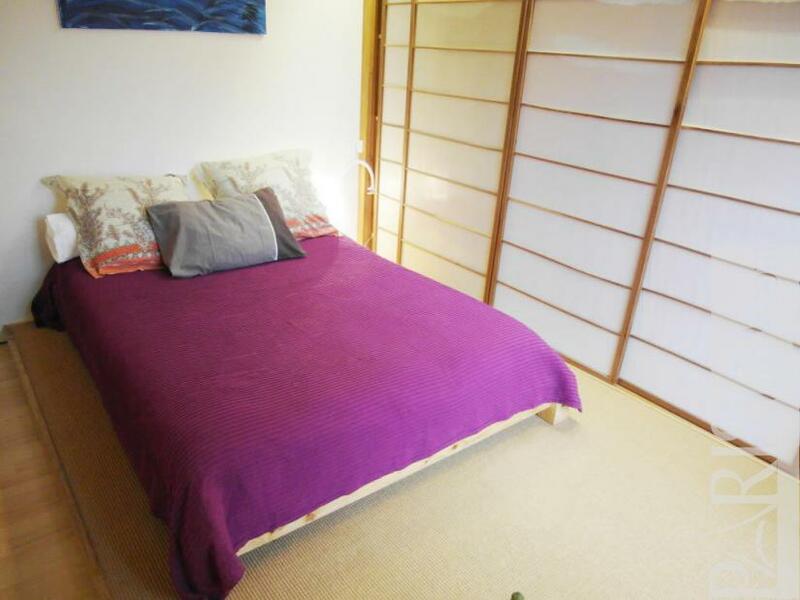 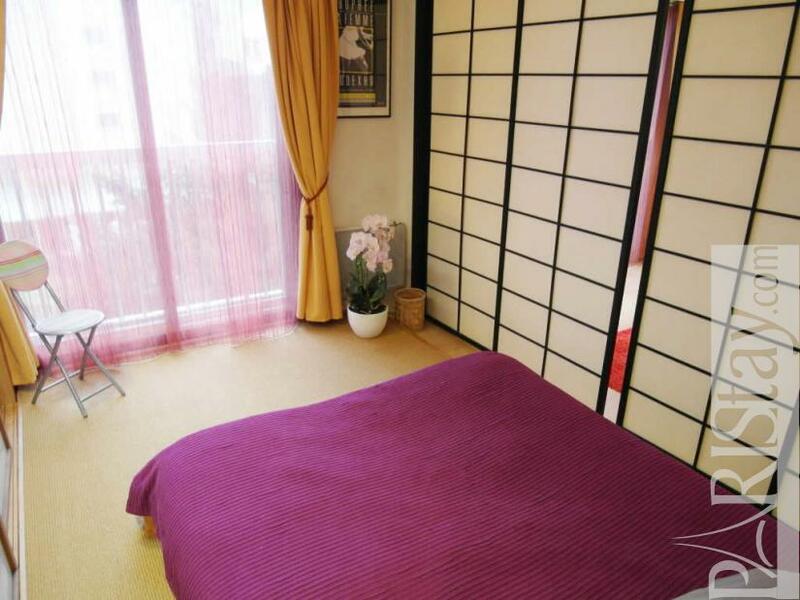 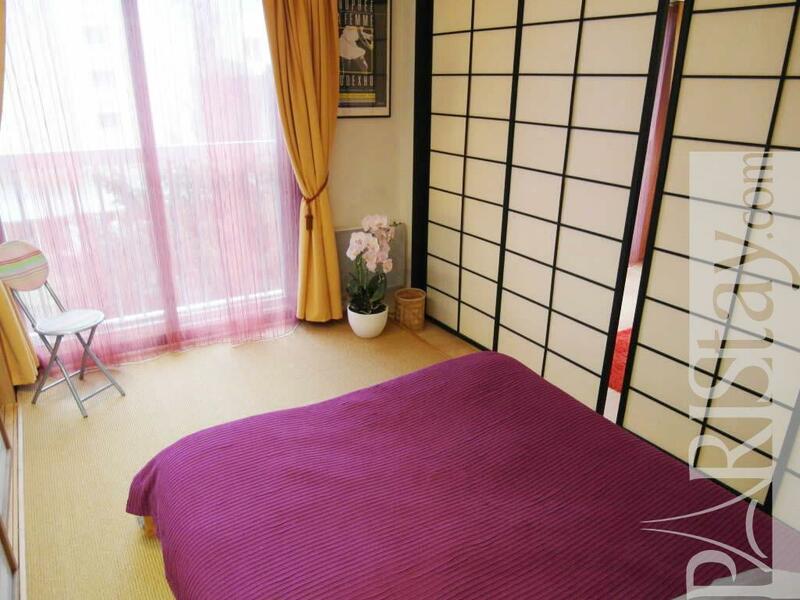 The bedroom is separated from the living room by four Japanese-style sliding doors. 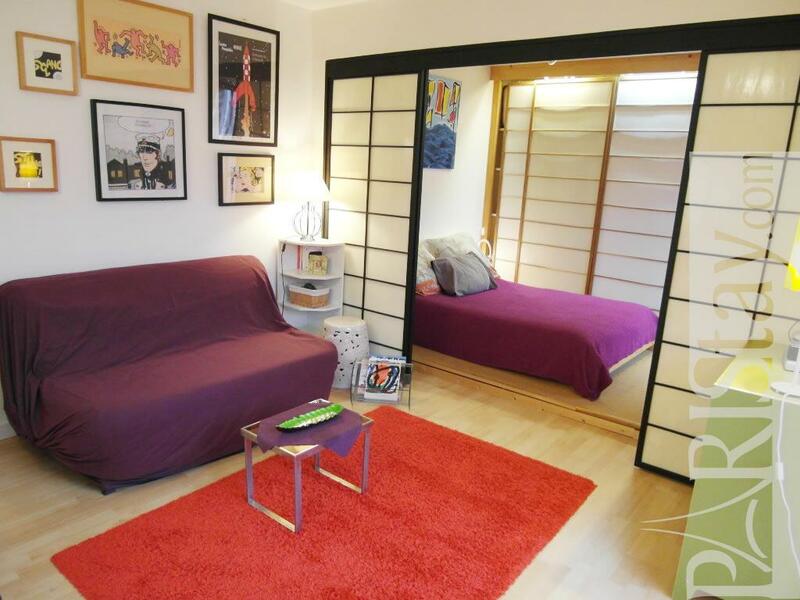 It is furnished with a double-size bed, shelves, a stereo and built-in closets. It also has a sliding French door. 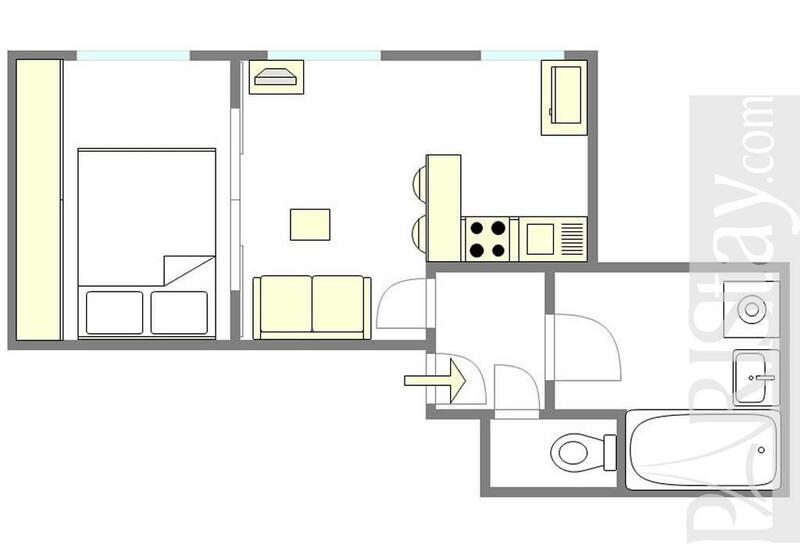 The open kitchen is separated from the living room by a bar (with two stools) and is equipped with two electric burners, a microwave oven, a refrigerator, a toaster and a coffee maker. 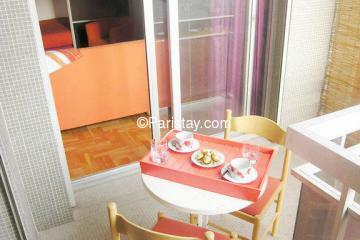 There is also a folding dining table with chairs and a window. 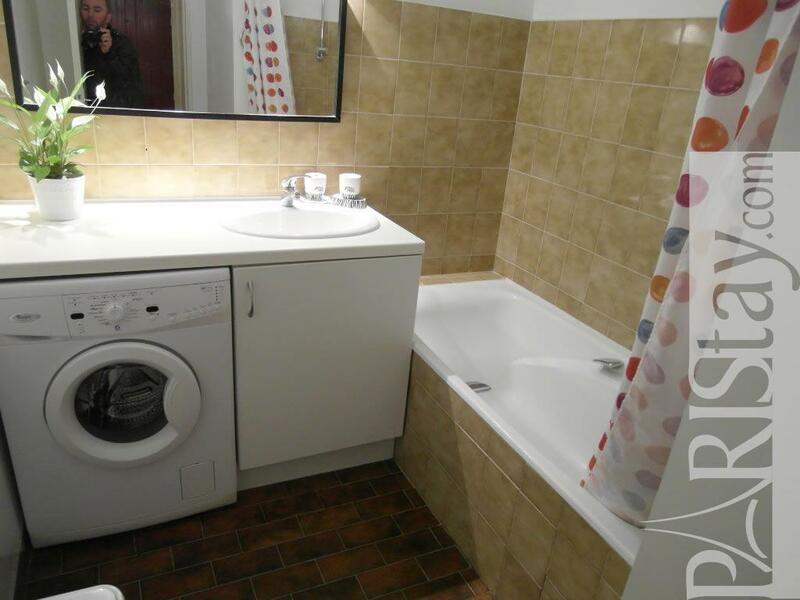 The tiled bathroom is accessible from the entrance hall and is equipped with a washbasin, a bathtub with a shower head and a washing machine. 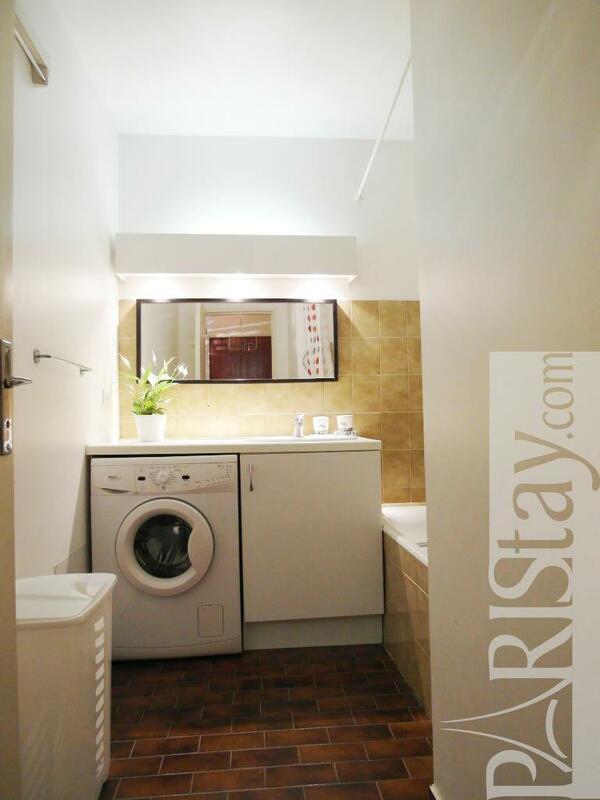 The separate toilet is behind the entrance door and also has a built-in closet. 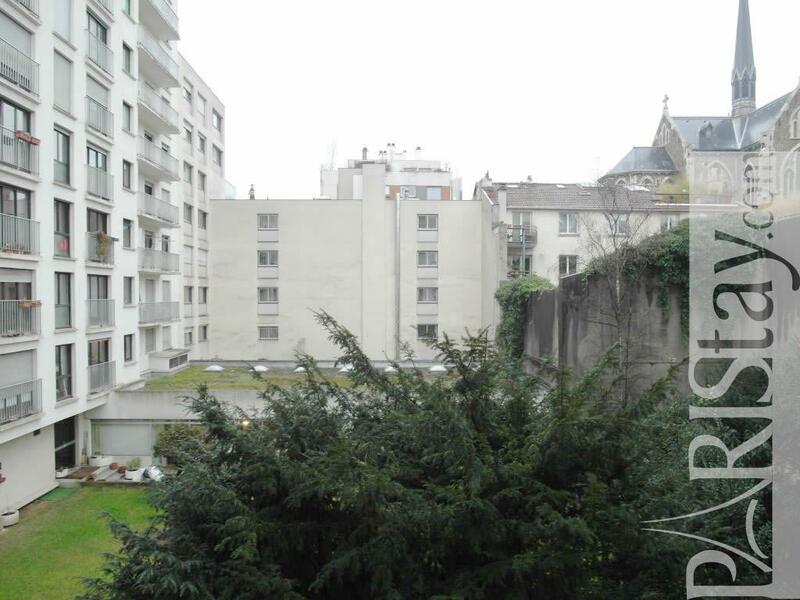 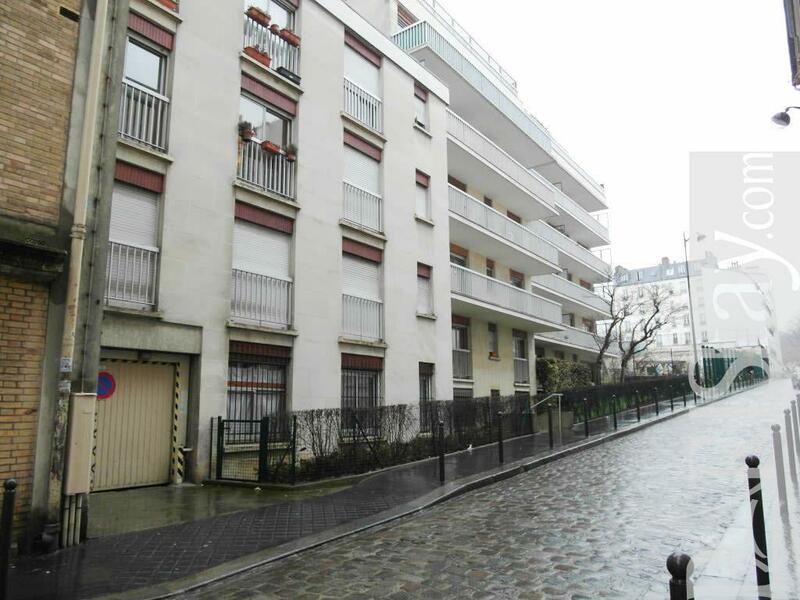 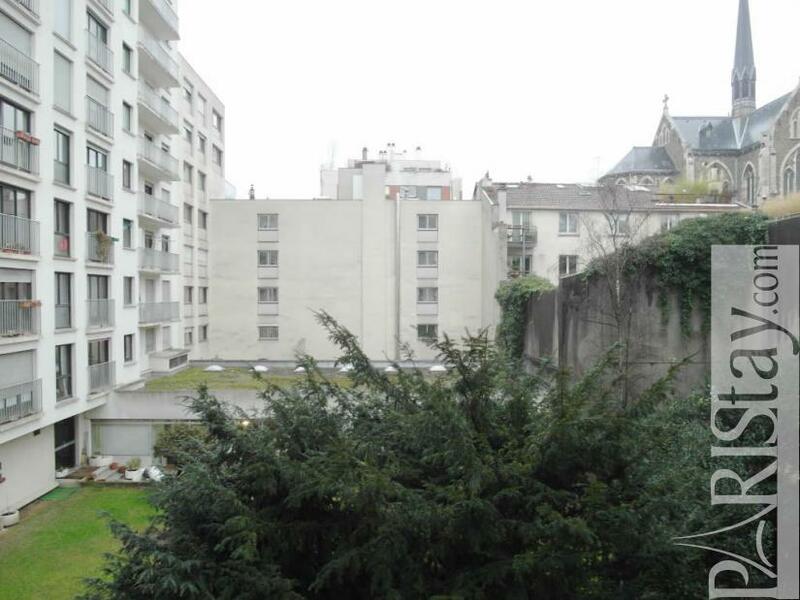 1979's Building, 2 nd floor, with Lift, 1 bedroom Appartement, furnished, Approx: 42m² / 452 Sq.Ft.